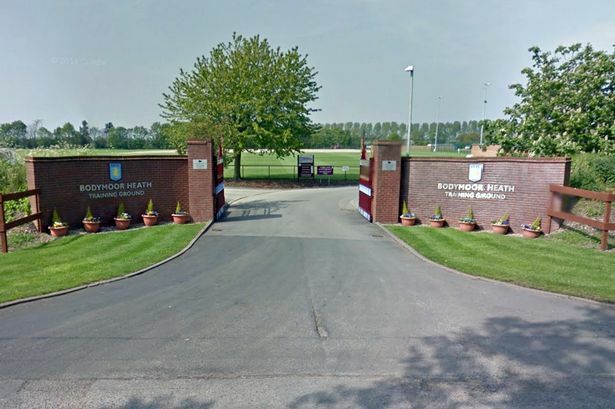 Aston Villa have signed the club&apos;s first ever naming rights deal for their training ground in Bodymoor Heath. The facility near Sutton Coldfield will be renamed The Recon Training Complex with immediate effect. The five-year partnership will see Recon, which bought the club in summer 2016, work with Aston Villa to showcase their products and services at the facility. Recon will also engage in a host of other marketing initiatives including media backdrop branding, LED advertising at Villa Park, digital advertising, access to players, VIP experiences and match day hospitality. The Chinese group, led by chief executive and Aston Villa chairman Tony Xia, is a conglomerate with interests in IT, health, transportation and financial services among other sectors. Bodymoor Heath has been Aston Villa&apos;s training ground since the 1970s and underwent a multimillion-pound transformation before the start of the 2007/08 season. Facilities there include HD cameras to provide staff with real-time training footage and touchscreen technology, a sports psychology lounge and improvements to the existing rehabilitation facilities. Mr Xia said: "The naming of Bodymoor Heath and the extensive package of marketing rights provides Recon and our group businesses with a unique communication platform to showcase our services and products. "We&apos;re very proud to make this announcement and look forward to developing the technological showcase of our offering." Aston Villa chief executive Keith Wyness added: "This partnership will guarantee that the club continues to develop best-in-class training facilities. "Investment in our training ground is vital to optimising performance on the pitch and we are glad to be working with a long-term partner to create advantage at Aston Villa. "The training ground is also one of our key revenue generators as we send coaches overseas to spread the Villa techniques and philosophy forming a key pillar of our international plans."